Coming from Scottsdale, Arizona the winter weather and the New England culture took some getting used to… but after I learned how to appropriately bundle up in the cold and once the snow melted into Spring, I fell in love with my new surroundings and this beautiful new state that I can call home. Fall has always been my favorite season… but in Arizona I never got to truly appreciate the change of seasons. As soon as late September/ early October rolls around I am obsessed with the magic of fall. The trees on campus and in the mountains are alive with bright yellows, reds, and oranges… it is impossible to look away! Nestled comfortably between Route- 125 and Route-30, Middlebury is at an intersection of a world of open roads ready to be explored. Every road and every path that I have taken has lead me on a visually stunning tour of the beautiful Vermont landscape. From the rolling hills to the flat farm lands ever turn brings a new unseen beauty! While the roads may not be full of cars… I am never alone. It is not unusual to be riding along side a field of horses, cows, or sheep… or to even be driving next to a tractor cruising down the road. While the 8,000 or so people in the town of Middlebury can seem small, Vermont is located at the heart of New England. It is so easy to travel anywhere on the East Coast from our location. Burlington, Vermont’s largest “city”, is only 45 minutes north and is a great place to have dinner, shop on Church Street, or just watch the sunset over Lake Champlain. 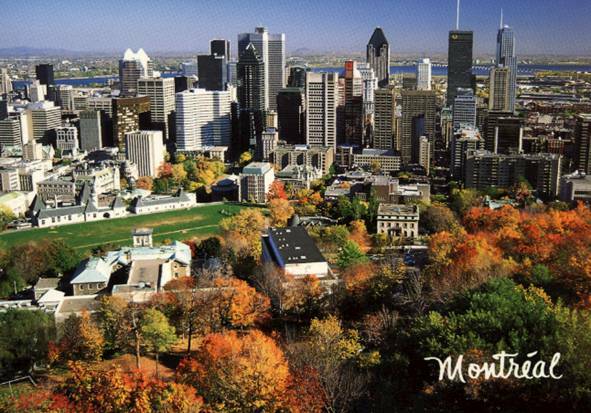 Montréal is actually the largest major city to Middlebury and located only 2.5 hours north. If you want a little taste of Europe, Montréal is your destination. From cafés with crêpes to late night dance clubs, Montréal can be the perfect weekend or vacation destination! Also, let us not forget that New York is only 5 hours away and Boston is 3.5 hours away (by car). Coming from Arizona all of these distances do not seem that far… when I think about how it takes 6 hours to get from Phoenix to Los Angeles … but with NOTHING in between! At least driving in Vermont is filled with open roads with small towns and stunning view of its natural landscapes! If you are student at Middlebury I would highly recommend spending a summer on campus… either working for an office on campus, doing research with a professor, or participating in a Summer Language Schools Program. Two years ago I spent the summer at Midd working for the Careers Service Office. During that time I really got to explore Vermont and know the town of Middlebury. I tried to blend in like a true Vermonter and searched for local “watering holes” and ate lots of Creamees (which a strictly Vermont term for soft serve ice-cream or frozen yogurt). My favorite place to relax and swim after work was at “Dog Team Road”, a small river beach just 5 minutes north of campus. I also made use of the wonderful summer agriculture! Every Saturday morning I went to the Middlebury Farmer’s Market at Marble Works. From delicious local goat cheeses to hand picked organic strawberries and blueberries I was constantly immersed in a culture of local foods! While I still believe that Middlebury is the quintessial New England town driving through Vermont is like exploring a foreign country. Each small town has its own feeling and established way of life. 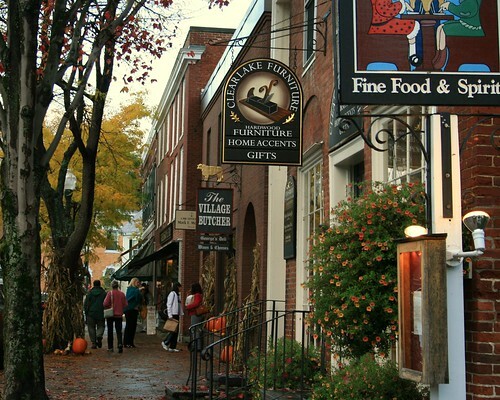 From Vergennes to Bristol each town hosts its own Main Street with local restaurants and shops that are unique to that community. My favorite roadside town is Woodstock, VT which on Route- 4 south of Middlebury. The first time I passed through Woodstock they happened to be hosting their annual summer music festival. So naturally I stopped to get out and participate in the events! Not only does Woodstock have a beautiful Main Street with classic New England buildings and delicious cafés, but for this event they had closed the streets and hundreds of the members of the community were all dancing in the streets to the beats of the live music in the background! It is small towns like this that truly make me appreicate the sense of community and life-style that is unique to Vermont. 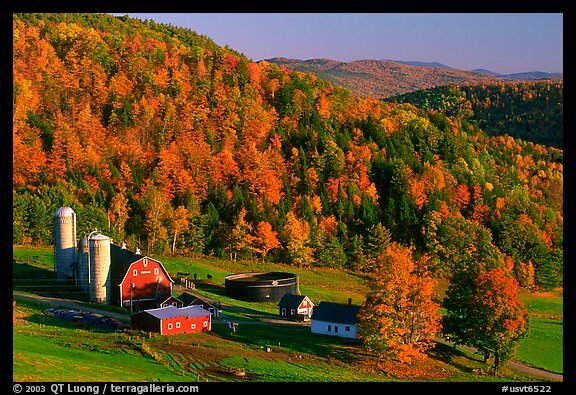 This entry was posted in Student Life, Vermont and tagged biking, bristol, fall, farmers market, vergennes, Vermont on November 19, 2010 by JJ Janikis. My transition to the East Coast was great! While I am far from my family and my home in Arizona I have definitely found a new home at Middlebury and on the East Coast. Weather aside, I found Vermont to be a very welcoming introduction to my new life in New England. While my life in Scottsdale consists of sending at least 30 minutes in a car to get from place to place, I love the sense of community in New England and the relative proximity to everything. During high school I could not wait to get out of Arizona. However, being at Middlebury has truly made me appreciate the beauty of the mountains of the Sonoran Desert. Please feel free to email me at jjanikis@middlebury.edu if you have any other questions! I loved looking at your pictures! I would love to hear more about your experience in Vermont and how you adapted to life at Middlebury. I grew up in Sedona AZ so I knew what you were talking about with the distances between places. I lived in upstate NY for a while, in Denton, TX for a little while, and now my family is living in Monterey, CA. I am set on transferring to Middlebury for my BA and would love to learn more about your life there.